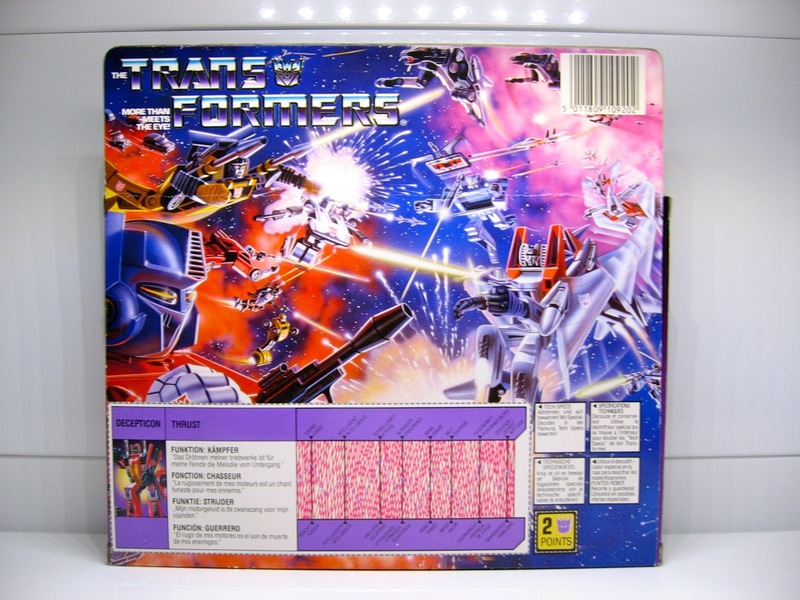 Not too long ago I scored this very nice looking, boxed MB (Milton Bradley) version of Thrust. 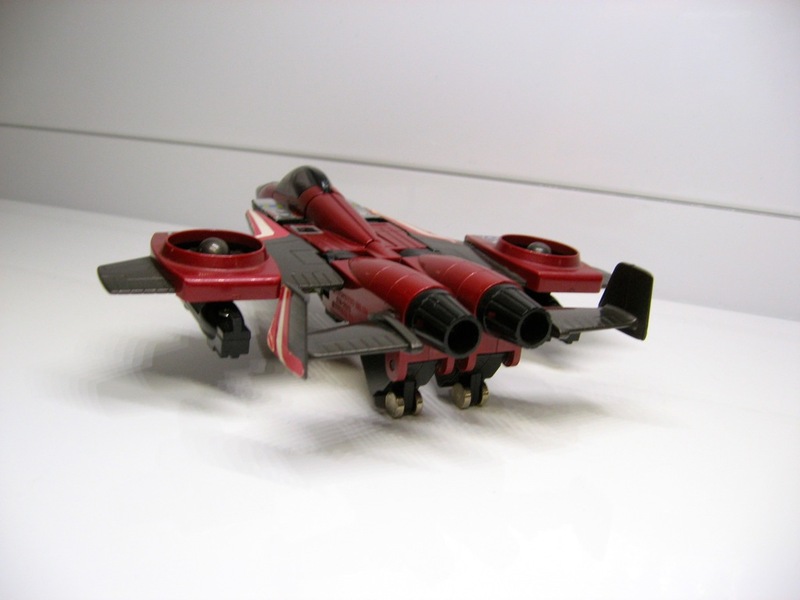 Thrust is a Decepticon jet and part of the second series of jets that were released in 1985. 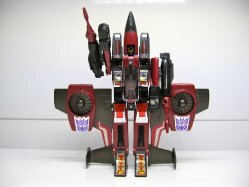 The first set of Decepticon jets were released in 1984 in the US and consisted of Starscream, Thundercracker and Skywarp. 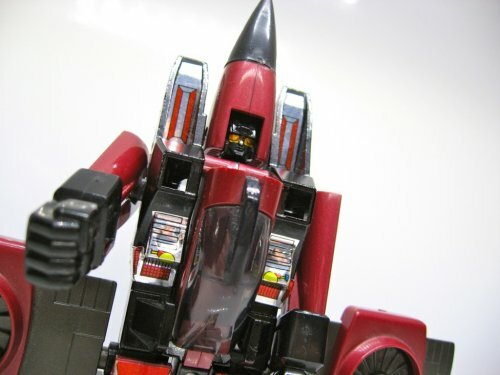 All three robots transformed into a McDonnell Doulgas F-15 Eagle and were called Seekers by fans, a term which was eventually adopted officially by Hasbro. 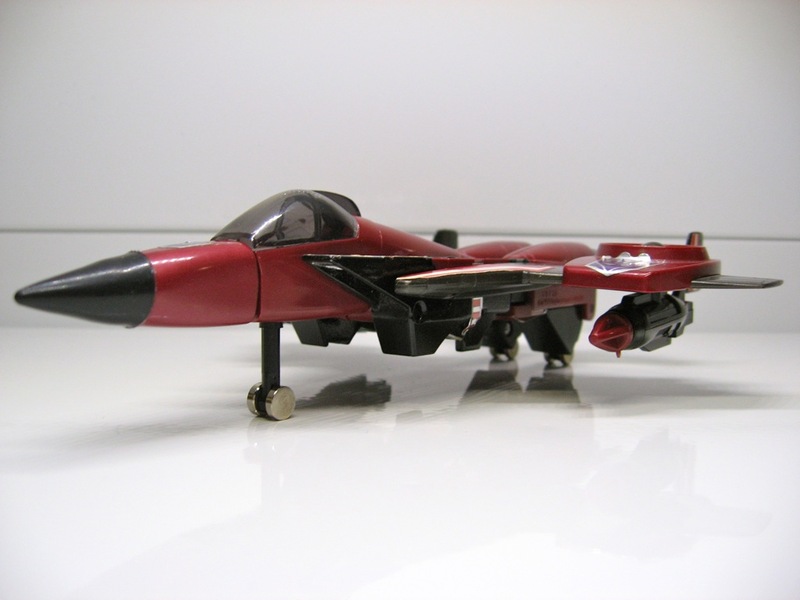 In 1985 Hasbro released three new jets in the US, that were all based on the 1984 Seeker jet moulds, but with some modifications, e.g. Thrust became a VTOL (vertical take-off and landing) jet and is the coolest looking one of the bunch if you ask me!! 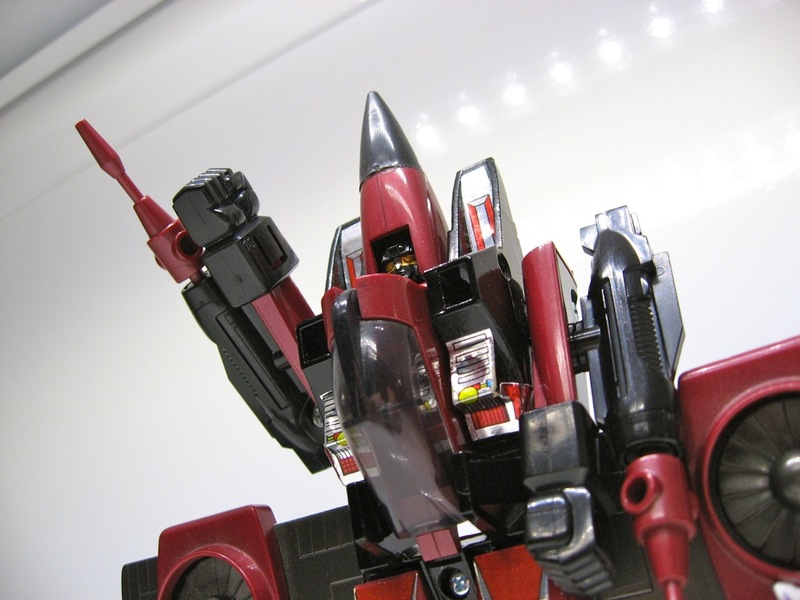 Besides Thrust, the new jets were Dirge and Ramjet. 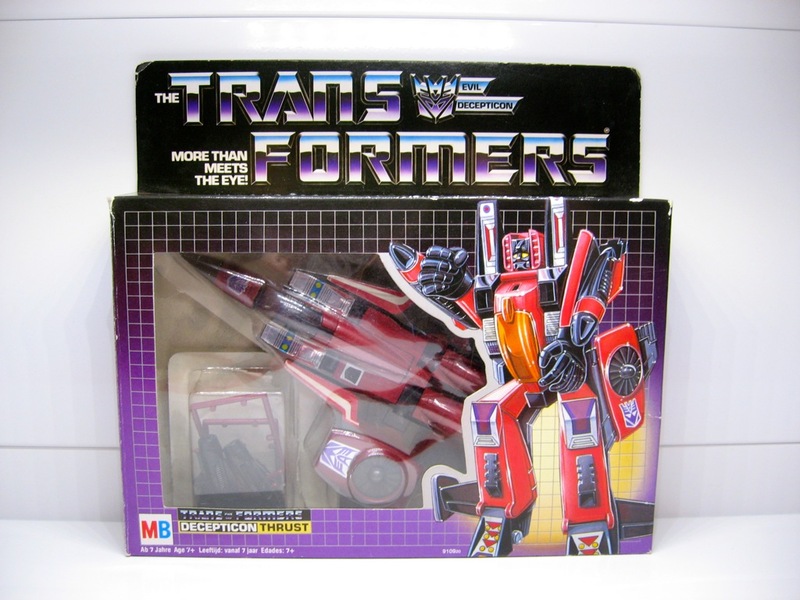 Another interesting naming fact occurred with the release of the 1985 Decepticon Seeker jets. 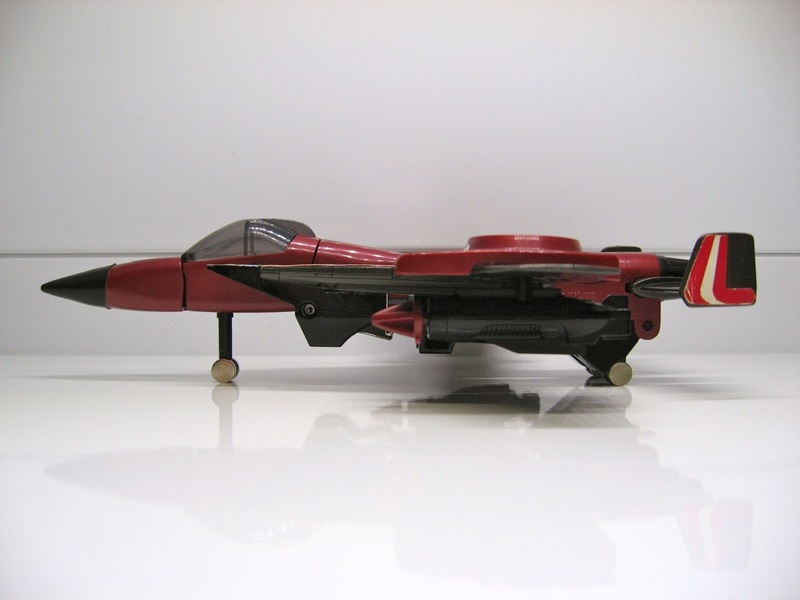 In the original Sunbow cartoon the new Seeker jets were drawn differently from the 1984 jets in that their heads were cone shaped. 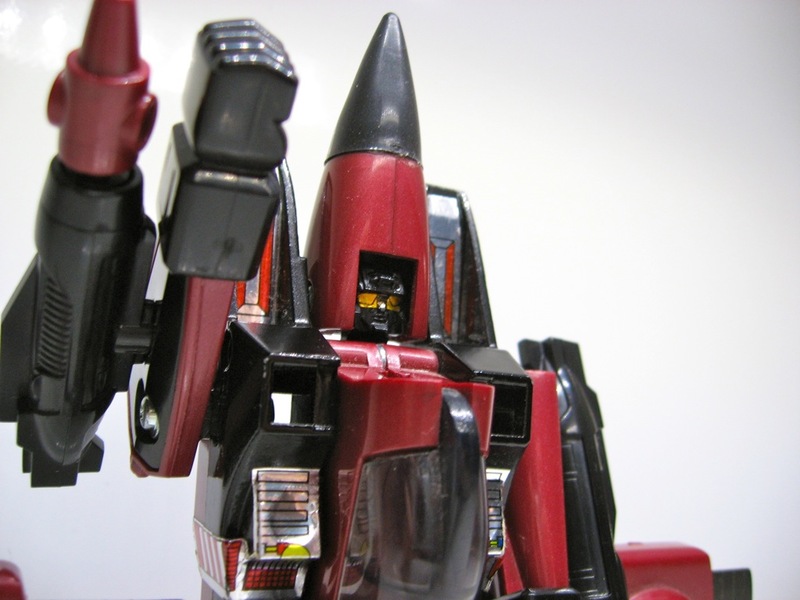 The 1985 jets were thusly dubbed ‘Coneheads’ by Transformers fandom. 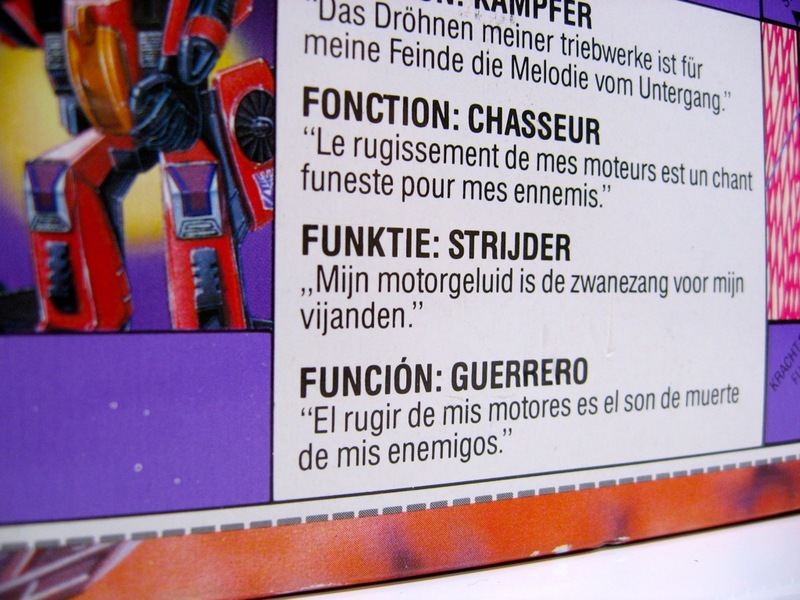 It’s actually quite funny that Sunbow drew them like that, because both the 1984 and 1985 jet toys had the same mould and both could either have a conehead or not, depending on how you transformed them. The toy itself, its box art and instructions did not feature a conehead transformation, so it was a cartoon thing only, but it stuck with most fans! 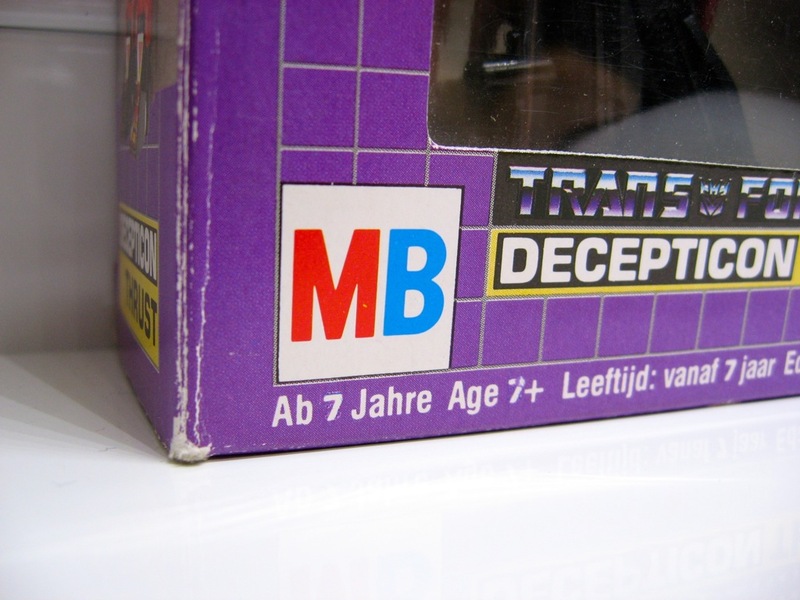 In Europe, MB released the first wave of Transformers toys in late 1985. 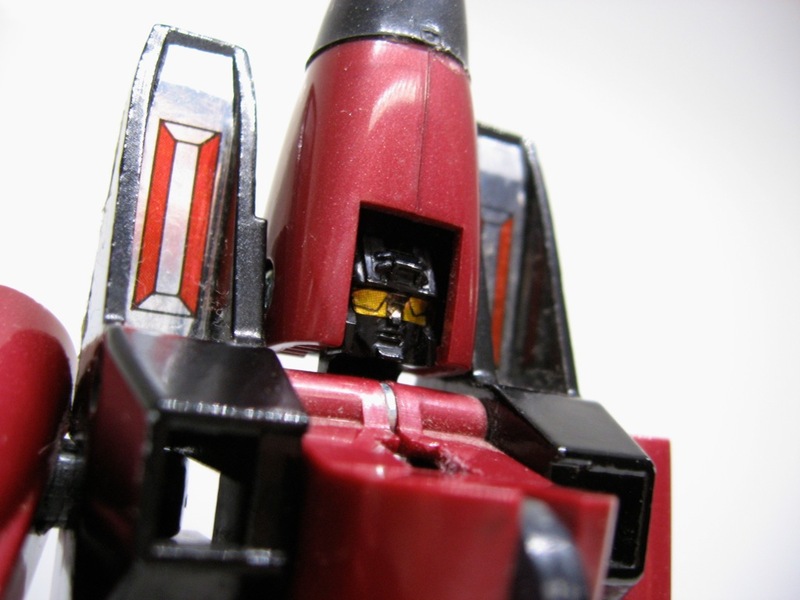 A total of four Decepticon jets were released, being all the Coneheads and Starscream. Below are some more pictures of my own collection. Enjoy! 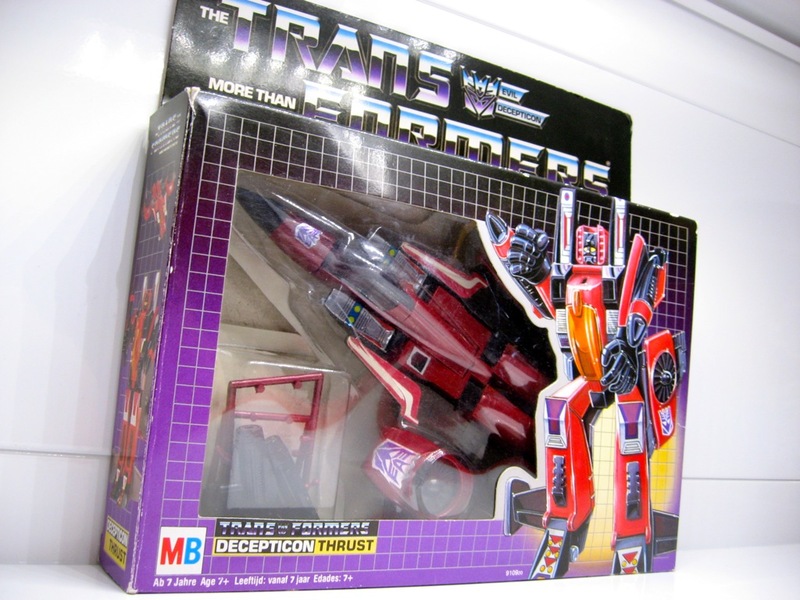 Not too long ago I scored this very nice looking, boxed MB (Milton Bradley) version of Thrust. 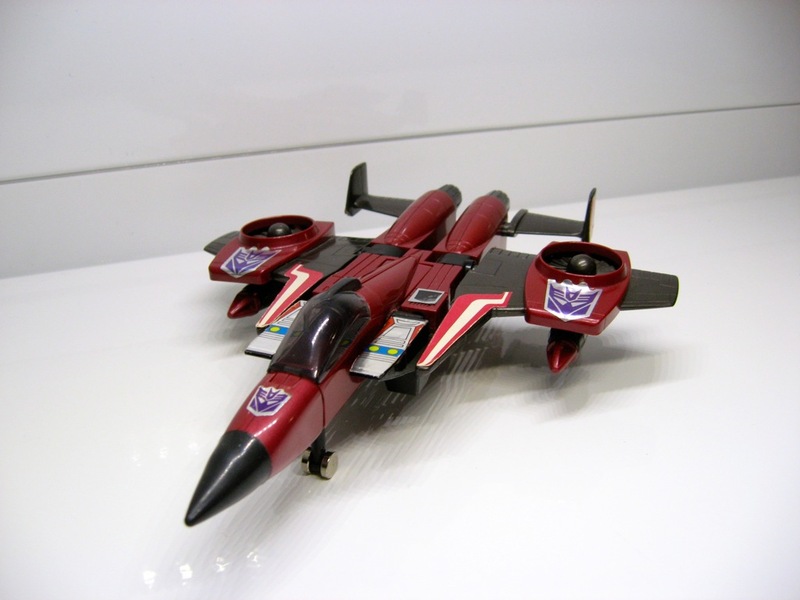 Thrust is a Decepticon jet and part of the second series of jets that were released in 1985. 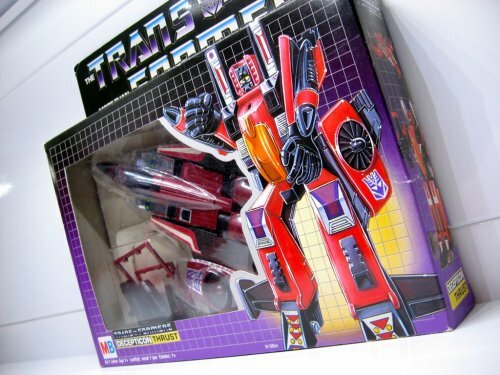 The first set of Decepticon jets were released in 1984 in the US and consisted of Starscream, Thundercracker and Skywarp. 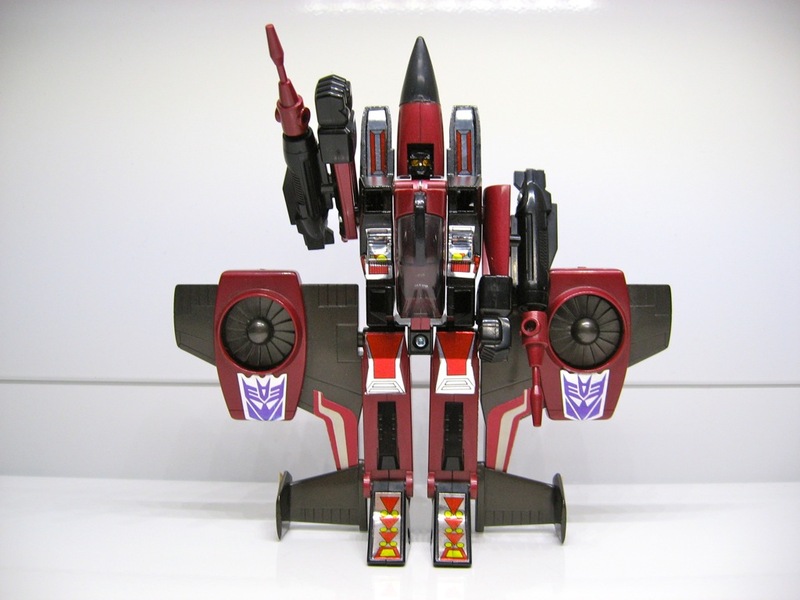 All three robots transformed into a McDonnell Douglas F-15 Eagle and were called Seekers by fans, a term which was eventually adopted officially by Hasbro. Hello all, I am a student at NUST Islamabad, Pakistan. I am developing a UAV for my Final Year Project and I was looking for jets. 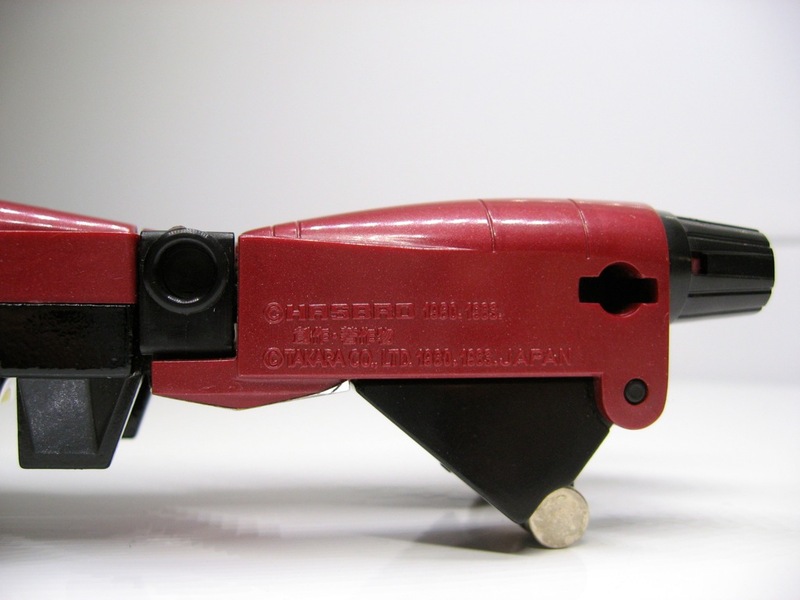 Where can i buy these jets?